Newly enhanced and extensively updated, the Wilson Reading System (WRS) 4th Edition builds on more than 30 years of proven success in literacy instruction. It also provides teacher and student resources that incorporate all the research-based best practices that have been part of our teacher professional learning courses for many years. We are very pleased to announce the new Wilson Reading System 4th Edition! Steps 1-6 materials are now available. To learn more, please visit our WRS 4th Edition page or view the WRS 4th Edition Materials Information booklet. This new edition provides teachers with even more explicit guidance and extensive resources in word structure, vocabulary, fluency, and comprehension to benefit students. The previous edition of WRS provided practice of some morphological aspects of the English language, but now we are providing a greater emphasis with our systematic approach toward teaching morphology, along with phonology and orthography. One of the more significant and important updates is the direct teaching of high frequency words, including irregular words, in a predetermined sequence. Also significant is the selection of words for wordlists and stories considered to be core vocabulary, most drawn from the TextProject’s WordZone™ for 4,000 Simple Word Families (Hiebert, 2012), which represents 90% of the words most frequently used in written text. Because the Instructor Manual now provides more detailed instructions, including the tips and other guidance used in Wilson® trainings, it has been divided into two volumes. There’s also more explicit guidance for Block 3. The Comprehension & Fluency Block 3 Guide provides comprehensive background information, progression guidelines, and specific instructions for fluency and comprehension work. The End-of-Step Assessments now also measure phonetic word reading accuracy and automaticity, marking current concepts, high frequency word reading, independent silent reading, passage oral reading fluency and comprehension, and dictation (spelling). Detailed guidelines on progression will help with student mastery and pacing. The Student Readers feature new and revised sentences and decodable passages that incorporate high frequency, core, and academic words. The passages are intentionally longer to help students build reading stamina. The WRS program content, design, and materials were built with sensitivity to the issues of diverse learners, including race, culture, nationality, language, gender, and socioeconomics. The program aims to avoid the depiction of stereotypes or misrepresentation of populations. What Materials are Needed for Implementation? A 4th edition WRS Introductory Set (Steps 1-6) provides the materials needed to teach Steps 1-6 of the program. It includes one set of student materials. For more information about specific WRS 4th Edition materials, please see our WRS 4th Edition Materials Information booklet. 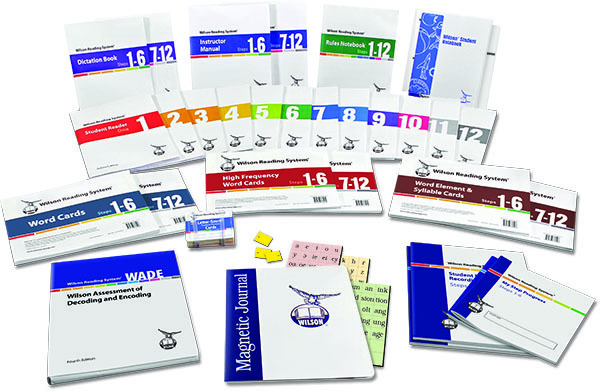 To order WRS 4th Edition materials for Steps 1-6, please visit our online store.